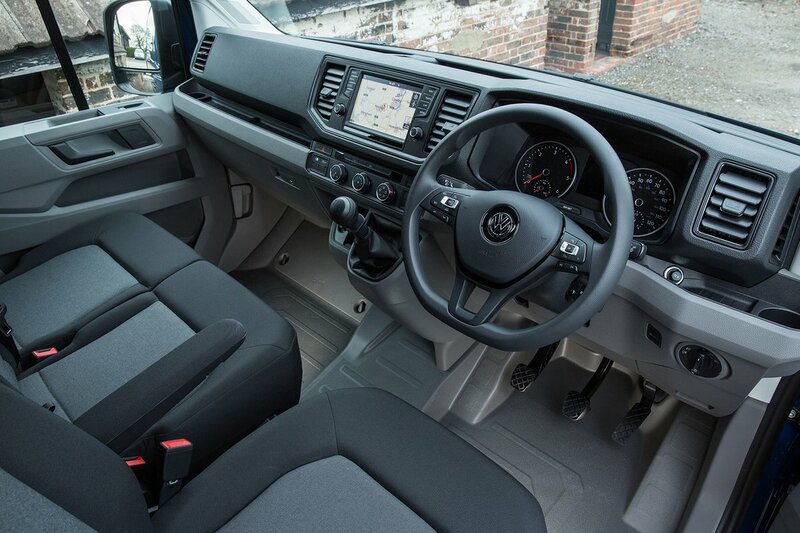 Volkswagen Crafter Interior, Sat Nav, Dashboard | What Car? 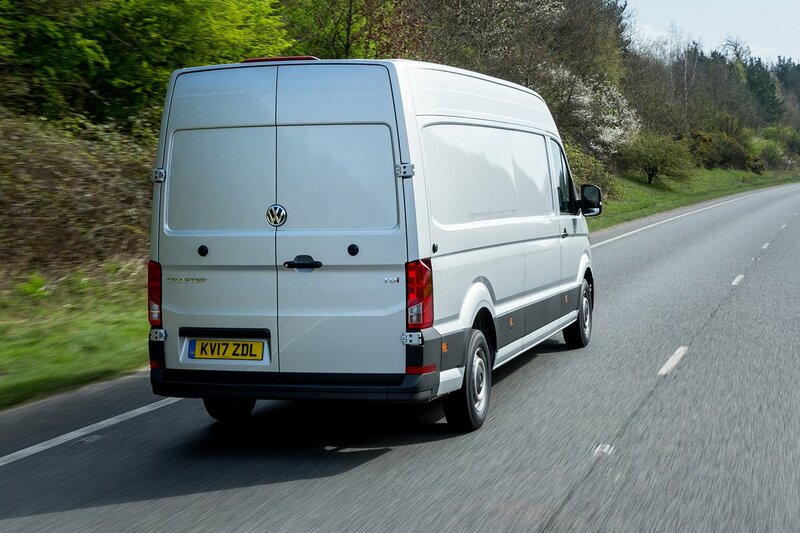 One of Volkswagen’s main aims for the Crafter was to reduce the stress on the driver. That means reducing noise, with a more refined engine and improved sound deadening, but also making the interior a better place to spend time. There’s a much greater emphasis on ergonomics, too; specifically the driver’s seat, which is particularly comfortable, and having more usable space. There are three open areas above the dashboard with two cupholders, while the dashboard itself is split horizontally to create another cup-sized storage section for both driver and passenger. The infotainment screen fills the central part, its display is crisp and easily readable even when bright light is shining across it, and the system itself is logical and easy to use. The door compartment storage is also split into three segments, of which the largest, central section is big enough to hold folders or water bottles. Startline trim adds storage under the passenger seat and a fold-down tray in the backrest for writing or placing a laptop. It also gets you a fully adjustable steering wheel, a multifunction display and a Bluetooth radio with USB connection. Trendline adds a more comfortable driver’s seat with two-way lumbar adjustment, an armrest, cruise control, a multifunction steering wheel and electric heated door mirrors. It’s also the point at which the 8.0in touchscreen is added along with Android Auto and Apple CarPlay smartphone mirroring. 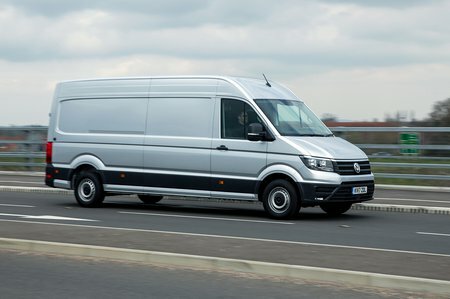 Highline really just improves upon the features of Trendline, so the cruise control becomes adaptive and the seat is electric with four-way lumbar control and two armrests. Front and rear parking sensors are also added, but these can be specified separately or as part of a pack of extras.